So this was kind of my experiment into "Just post a swatch" but now that I see it, I want more. Hah. This is Jesse's Girl Sparkle Red which is actually slightly more pink than red. 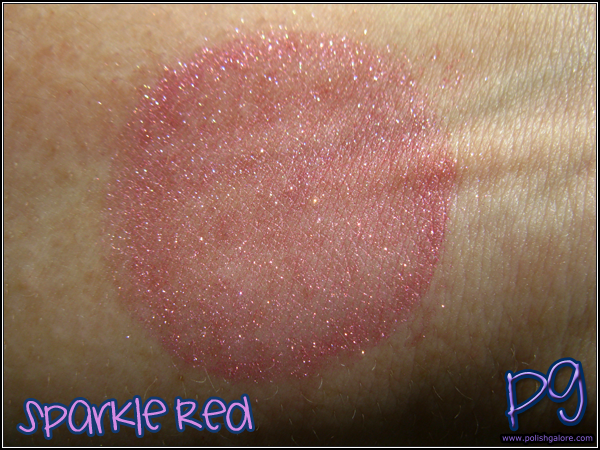 The base is the same color as the shimmer, no duochrome effect. So which do you like better? Lots of pictures in different lights or just one simple "Hey, this is it?" type of posting?